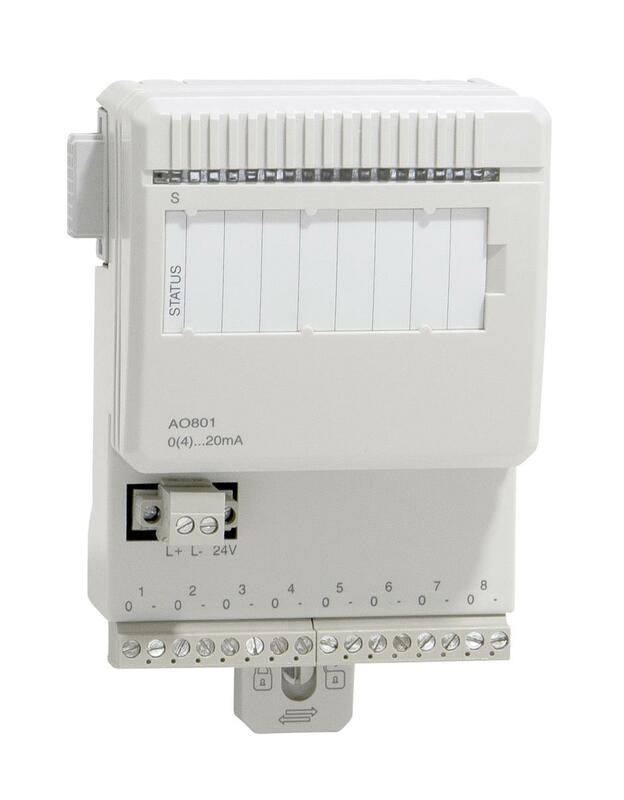 The AO801 Analog Output Module has 8 unipolar analog output channels. The module performs selfdiagnostic cyclically. A low internal power supply sets the module in INIT state (no signal from the module).